Whether you maintain an affiliate marketing blog or a multi-channel e-commerce website selling thousands of products, one of your most important metrics is that of conversion rate. This is, essentially, the number of website visitors that click through your links, make purchase, or perform any other desired action while on your pages. Conversion rate optimisation is vital no matter what the size of your business or brand. The higher your conversion rate, the better, although you should take into account the average sale value and profits for a clearer picture. It may be worth settling for a slightly lower conversion rate, for example, if you enjoy an overall increase in profits as a result. For the most effective conversion rate optimisation campaign you will need to ensure that you have good quality analytics installed on your site. Google Analytics will work well but do ensure that you have it set up appropriately and from the very beginning of your website life. Consider what you actually want your website visitors to do – are you interested solely in sales, or are you looking for newsletter signups? A website can have more than one conversion type and all should be measured and tracked. You should also track the value of conversions. For product sales this may be relatively easy, but the challenge arises when trying to determine the value of a newsletter signup of a Facebook Like, blog subscription, or other valuable but ultimately profitless conversion. Different pages have different conversion types. Set up analytics on every page and ensure that you have some way of tracking the exact number and value of conversions. As well as measuring visitor numbers you will need to find ways to measure the number of purchases made through a particular page, the number of newsletter signups a page attracts, and any other desirable metric. Some changes can lead to dramatic improvements in website performance and may be the changes that are most obvious on a page. Ensure every page has a clear Call to Action and that it features in a prominent position. Make sure content is set up to convert and that links, buttons, and other page elements are not broken. Make sure page load speed is not deterring users and provide the information that you elude to when attracting leads to your pages. There are some changes that are more difficult to identify and equally difficult to make but even the smaller changes can add up to significant improvements. Ensure that your web copy uses an appropriate voice and that you come across as being credible, trustworthy, and authoritative. Website visitors will be more inclined to make a purchase if they believe you have these characteristics. Remove clutter, especially from around your Call to Action and do make sure that buttons and lead capture forms are in a prominent position and are easy to spot. Test changes frequently and benchmark performance to ensure you make only relevant and effective changes. The conversion rate of a website is one of the most important factors that you can measure. When combined with average sales value and total traffic levels it will determine how much profit you make and is one factor that you have direct control over. Make changes, benchmark and test those changes, and look for ways to judge the reactions of your website visitors for the best possible results. This is article is courtesy our awesome new resident blogger Matt Jackson. Although Mark would love to have written this post, the below is a lie! Looking for help getting the conversions up? 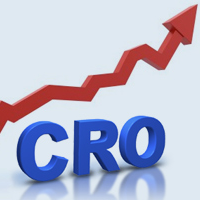 We offer conversion rate optmisation as part of our SEO packages. Click here to find out more.